Abstract: Very little work has been done on Iberian queens and even less on Iberian saints. This study of Isabel of Aragon (c. 1270–1336), wife of King Dinis of Portugal (1279–1325), who was venerated as a saint from shortly after her death, aims to explore the relationship between Isabel’s queenship and her sainthood. It engages with recent research, and critiques obvious comparisons between Isabel and her great-aunt St Elizabeth of Thuringia. Isabel may also be compared with numerous other medieval European queens and her main vita displays striking similarities to royal courtesy literature found elsewhere. despite being nearly three hundred years old, the sainted body was whole, the face noble, the hair golden and still attached to the skin, the arm and right hand entire, the nails as if they were of a living person … and in the features of the face there was great similarity to the effigy that we see on the tomb. Medical practitioners in attendance confirmed the body’s lack of corruption; Goncalo Dias, chief surgeon of Coimbra, remarked: ‘ I feel for certain that it is beyond natural order for a body to be so many years without decay, which can only be miraculous.’2 Whose was this miraculous body and why did it arouse so much interest ? 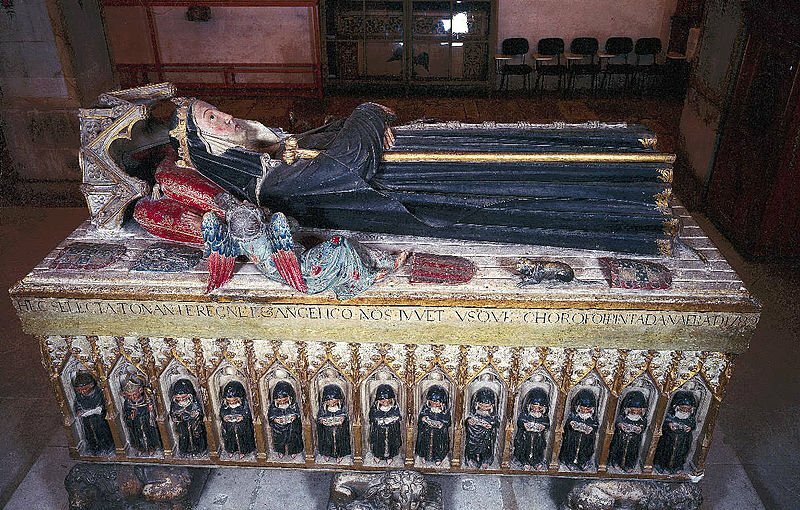 The tomb was that of Isabel of Aragon, wife of King Dinis of Portugal (1279–1325), who had indeed died nearly three hundred years earlier on 4 July 1336, and the tomb-opening was part of a long-drawn-out process that eventually led to her canonisation on 25 May 1625. Known as the Rainha Santa, Isabel is venerated as Portugal’s only officially canonised royal saint.